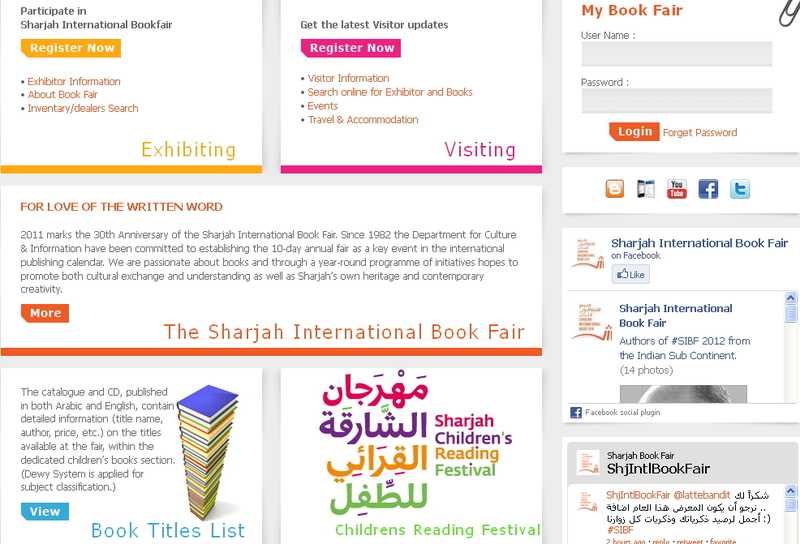 www.sharjahbookfair.com is the official website of Sharjah International Book Fair in which Exhibitors and Visitors can Register Online. 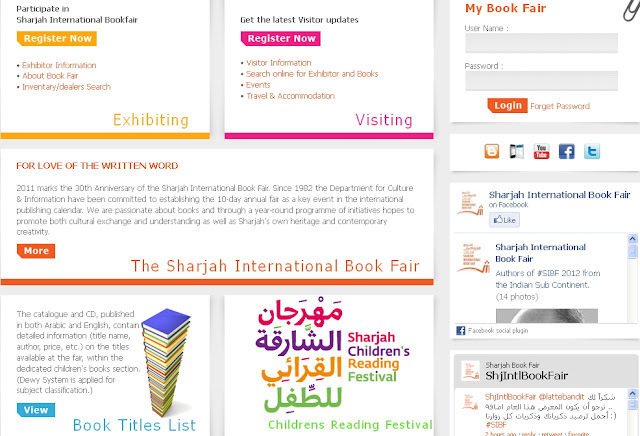 31st edition of Sharjah International Book Fair will be starts at Sharjah on 7th November 2012 and will end on 17th November 2012. 62 Countries will be participate in the Book Fair which includes 24 new Countries. Book Fair attract Thousands of book readers within the 10 days from around the globe. Exhibitors from 62 countries are take part in the Book Fair. More than 300 thousand visitors will be visit the book fair. Books will be available to the readers at cheaper price at a single place. This will help the people to improve their reading habit and improve them. Click "Subscribe By Email" link below the comment and get informed about the Comments Posted here.